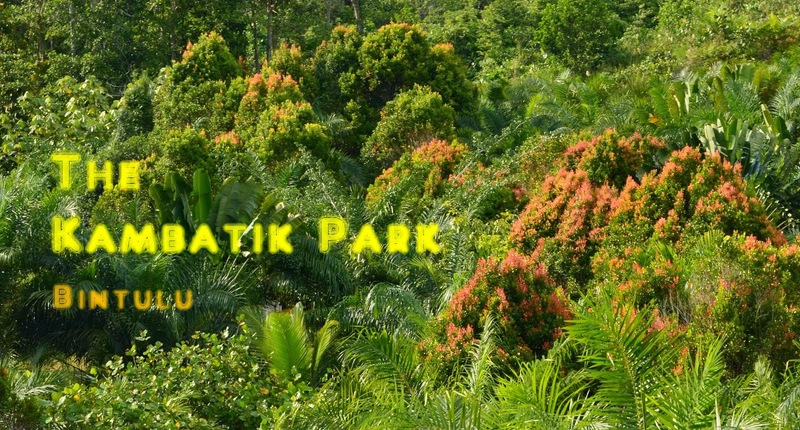 The Kambatik Park, Bintulu. : "Murai Rimba" or White-rumped Shama - a lifer! "Murai Rimba" perching on oil palm leaf. I saw some movement on the leaves of the oil palm tree just outside the Botanic Island Two. My curiosity was answered when a bird flew down on the open ground. It was no ordinary bird. It is a lifer for me. Fortunately I had the camera in my hand and quickly tried to photograph it. The bird did not remain long on the ground and in a matter of seconds it flew away. Lucky me, I have on record the sighting of a White-rumped Shama at the park. It is my fervent hope that in future the bird will come back again so that I could get better images of it. View of the jungle from which the White-rumped Shama flew out. Location : Botanic Island Two.